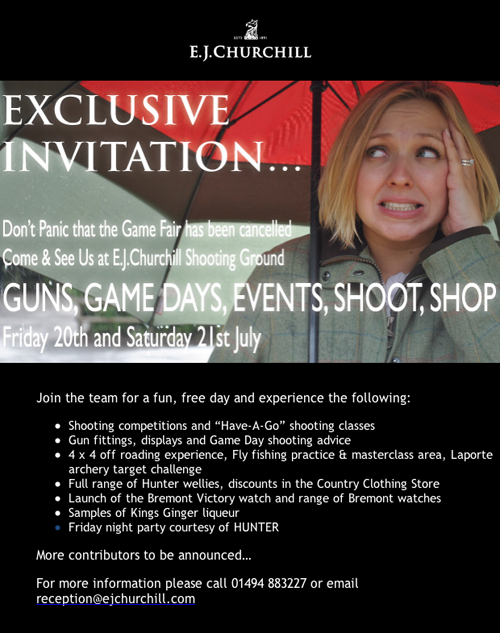 Wishing to soften the disappointment of the CLA Game Fair cancellation, E.J.Churchill Shooting Ground are inviting guests to join them for a bit of fun in the countryside on both Friday 20th and Saturday 21st July. All their guns will be on display and available to use.  There will be several shooting stands open for novices who wish to “Have-A-Go”, as well as sporting competitions for those bringing their own guns. The team will be on hand to offer advice on gun fitting, caring for your guns and storage. If you are interested in getting out to shoot the real thing; their experienced Sporting Agency will be on hand to talk through all of their shooting dates, availability and estates around both the UK and abroad. The E.J.Churchill Country Clothing Store stocks all of your favourite brands including Hunter, Dubarry, Barbour and Bremont to name but a few – a perfect opportunity for you to stock up your wardrobe essentials for the approaching season and take advantage of their discounts. There will be samples of Kings Ginger liqueur to enjoy and plenty to buy! They are hoping that lots of other disappointed businesses are going to join, by bringing their stands to promote themselves and their business. 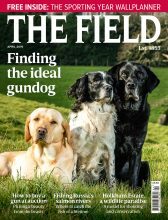 They are in talks with a number of other Game Fair Exhibitors and already have various shooting magazine titles on side. Francis Lovell will be present with a vast amount of English guns on sale. Hunter will also be hosting a party on the Friday evening along with their wonderful wellies for sale. Everyday more contributors are joining the event, so watch this space! Rob Fenwick, Managing Director of E.J.Churchill said: ?We know it is late in the day but it would be great if we could salvage something from this and all work together.? The event is free and the first 250 people to register their attendance will receive a copy of Field Sports magazine. So come down and see the team, even if it isn’t at the Game Fair. Let?s hope the sun shines! If you would like to come please e-mail reception@ejchurchill.com or call 01494 883227 to register.